Fearless Nadia, the very name that comes to our mind and lips when we talk about the actors and actresses of mid 90’s of the Bollywood industry. She is considered to be the one who brought female actress as a lead role into the industry and established a platform for the female actress of the future generation. 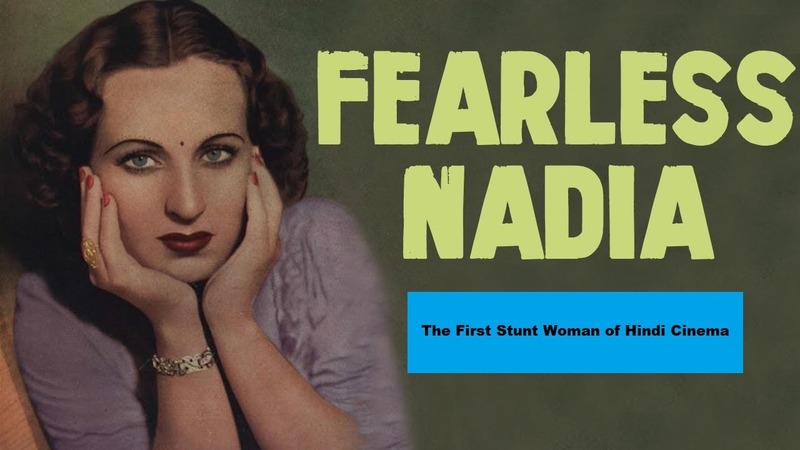 There has always been a question about, who is Fearless Nadia? Fearless Nadia’s real name was Mary Ann Evans. She was born on January 8, 1908, in the Perth of Western Australia. Mary Ann Evans was a daughter of a volunteer of British Army Herbert Evans and his wife Margret. She came to India at the age of 5 because of the transfer of her father’s regiment. She was not even a complete teenager when she heard the news of her father’s death in the year 1915 in the First World War. Soon she has to shift to the Peshawar with some of her relatives where she and her mother stayed for some years. That was a crucial period in her life when she learned some and most of her skills she was mastered in. she learned horse riding, fishing, hunting and shooting too. These skills helped her to gain the very interesting name she has. But what is the story behind the name of Fearless Nadia? How Fearless Nadia got her name? The answer is here. Once, a fortune teller told her that she had a very bright future but only and only if she adopted a name starting with ‘N’. This incident made her change her name to Nadia. In the year 1928, she came back to Bombay with her mother and a son. Robert Jones, son of Fearless Nadia was born in the year 1926. Robert Jones Fearless Nadia had a great controversy and he was always regarded as his cousin but later after she got married to Homi Wadia her problem was solved. Fearless Nadia’s Husband Homi adopted Robert officially which made the things clear to the audience. Nadia used to work in a circus during the 1930s where she learned and mastered the skills of cartwheels and other stunts. This circus was the place that gave her the title of “Fearless”. In the same period, she was spotted by J.B.H Wadia and he gave her a role in his movie Desh Deepak in the year 1933 and then in the role of a princess in Noor-e-Yaman. In the year 1935, she was cast for a female lead movie “Hunterwali” which was a great gamble by the Wadia Brothers. But the movie played well and has emerged to be one of the greatest hit of the decade. Hunterwali, Diamond Queen, Muqabala, Hunterwali ki Beti, 11’o clock and Dhumketu were some of the Fearless Nadia movies. Khiladi in the year 1968 was her last movie. In Vishal Bhardwaj’s recent movie “Rangoon”, the role that Kangana played was inspired by her. On her 110th anniversary, Google displayed a doodle to pay tribute to this great legend.